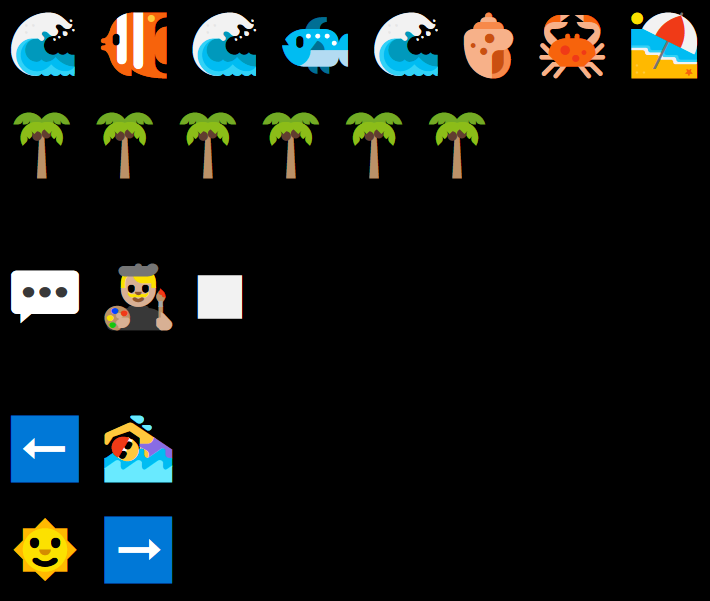 Interesting emoji text adventure with a lot of meat to it. Certainly not the first of the genre in this game jam, but it really distinguishes itself with a broader 'dialogue tree' and amount of routes in comparison. 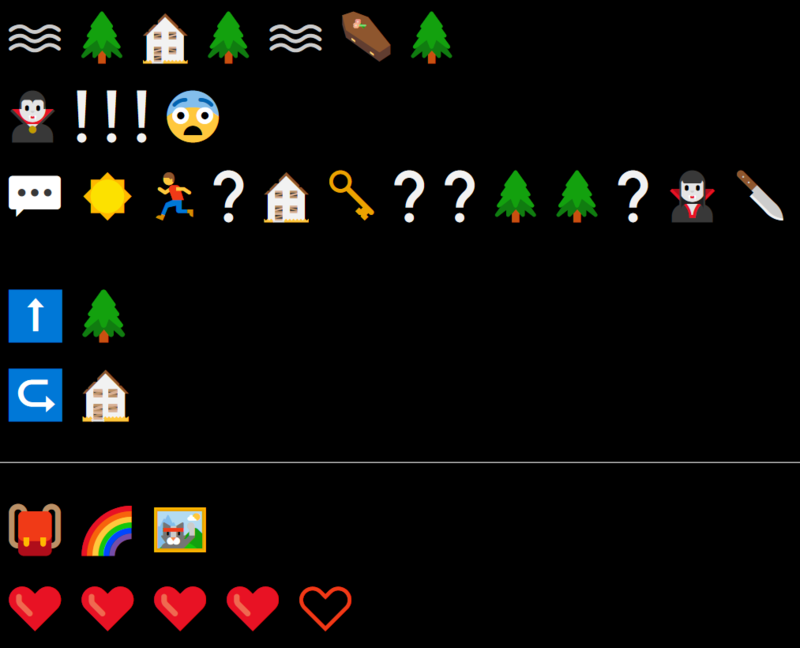 A text adventure with no text but emojis instead. I beat the game (killed the dragon) and it was frustrating but it did follow marks topic very well and felt as fair as it could be. I got extremely lost finding the bomb, forgot how I found the money to buy the bomb but what ever it was I game so close to shutting it down. The alien secret was fun but i feel like i missed a secret. Because even after beating the game one of the vampires is mad with the church and something about a document? how do I do that quest? 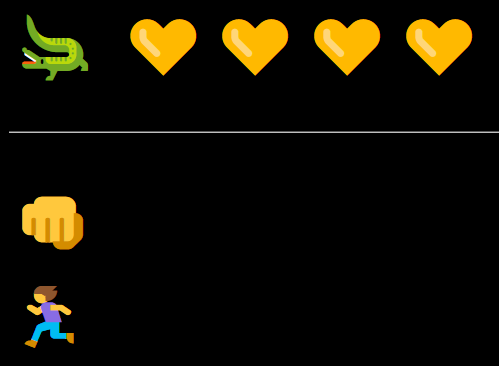 is it a secret or a hint? I talk to the church guy with the book and I don't understand him. Anyways sweet game I hope it gets included. I spent a lot of time trying to beat this one! Yeah, unfortunately there were a few loose ends I didn't have time to close up, like what the vampire was talking about and the painting you get from the artist. The money was from the mermaid. 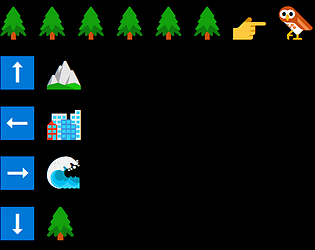 Also yeah, it was real hard to get it down to as frustrating as it is now, (Emojis are kinda the worst). Cool idea! But I found it really difficult to understand what everything meant.